The new year should bring with it a new realization of healthcare marketing strategies that will increase foot traffic and boost your ROI. One of those marketing strategies that should be at the top of your marketing plans is reputation management; a paramount step in getting and staying at the top of the search engine rankings on Google. You see, reputation management for physicians has always been a pertinent strategy in healthcare marketing, but in 2014, after a few unexpected algorithm changes from Google, has become more important than ever. You might be the most loved, most respected and achieved physician in your neck of the woods, but if that respect is not translated to the digital realm, you are missing out on opportunities to change lives. Sure, your word of mouth marketing is exceptional because you’re the best on your side of town. And your foot traffic is decent based on the amount of residents who live within that small word of mouth bubble. But what happens when the talking stops; all family and friends have told everyone they know, and your business sits stagnant through the new year? That is when it’s time to turn those real world fans into digital advocates, increasing your brand recognition and reaching to a greater, broader audience, thus increasing patient traffic once again. 1. Email: At Quaintise, we utilize the lost art of email marketing by taking it to the next level with personalized, custom monthly newsletters which not only drive traffic to the website but increase conversation on social media. By integrating email marketing with social media marketing, you can not only engage the patients you currently have, but reach brand new ones. Use email marketing to it’s full advantage by promoting Review and Testimonial sites where your patients and fans can help boost your digital presence. Give them the opportunity through email to become a digital advocate. 2. Website: Is your website optimized for your Fans? As a physician in healthcare marketing, you’ve no doubt heard the phrase optimizing for Google, but what about optimizing to increase your online reputation? Make it easy for your fans to share your website, comment on your blogs, leave reviews and testimonials for others to see. 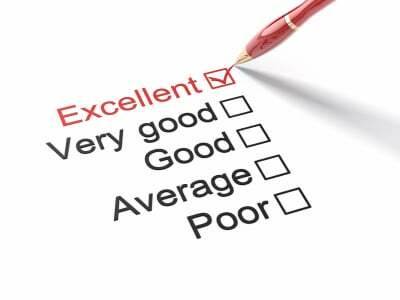 Does your website have a rating system for those fans who’d like to give you 5-stars? Does your website include social media integration for those fans who’d like to spread the good work you do? Just as with email, give your fans the opportunity to become a digital advocate. Make it easy for them. 3. Citations: Citations, or listings, are going to be crucial in 2014. Getting reviews and testimonials shows Google that you truly are one of the best physicians in your area. But getting reviews can be one of the toughest tasks that you can ask your patients to do, so give them incentive and make it easy! This year, Google will move less towards traditional SEO for rankings and more towards the ability of businesses and brands to prove their worth online through social media engagement and citations. Make sure that all of your local listings are accurate and updated. Set up citation review monitoring systems to always have an eye on those reviews as they come in. And always respond to them, whether they are good or bad. Google needs to see that you are active online at all times, and this no longer just means you post a few blogs or Facebook status updates. You need to be active on these listings as well. This year could be the best year your business has ever seen simply because you were able to take your reputation management to the next level. Let the team at Quaintise help you along the way!